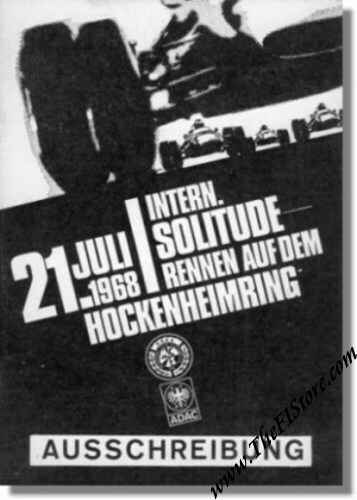 Official 1968 Hockenheim Solitude Rennen Entry Form / Booklet. A marvelous and rare time document. Contains all necessary info to enter a car in the 1968 Solitude Rennen including responsibility waiver form etc.